With more than 63% of the audience surf internet over their handful devices like- Tablet, Smartphones, and Phablets, your customers have already changed, & you can’t afford to lose this huge number. But, it’s also a fact that your broken and ugly site on mobile is not gonna impress these users anymore. You just have less than a second of time. If a user browses your website over their tablet or Smartphone, they must have easy and trouble free experience. And this is what responsive designing services do by exploiting the fluid grid layouts and fluid graphics, which targets the width of in-use browser and resolves the appropriate website display for the accessing devices starting from desktops to laptops, tablets to smartphones and more. Recommended By Google– Google states that responsive web design is its recommended mobile configuration. Highly Flexible– Since responsive websites are fluid, content can freely move adjusting the size of the device. Excellent user experience– With people are short on time, a responsive website reduces their manual efforts of searching things and serve what exactly then need on their preferred device. Low on budget– With one website compatible with all the devices, you’ll have no expenses of creating the website for each device particularly. Reduces the bounce rate– Since a responsive website is designed with optimal user experience, regardless of the device website is being searched on, it’s pages automatically gets scaled according to its size. And the user gets the exact information that they require. 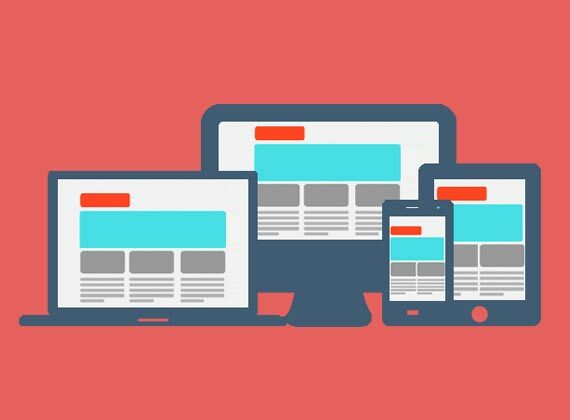 Responsive Website Design Company: With responsive web design solutions, you can technically changeover your website to convene Google specified mobile optimized recommendations. Why choose Responsive Website Design Services of IS Global Web? Being a full-fledged responsive design and development agency, we can help you have a website which is attractively designed and technically appropriate to meet your all marketing goal. However, if you already have one, we can optimize it and make it more responsive. Our technologically advanced team of responsive website designers, mold and resize your website according to the mobile devices so that they could omit highly functional browsing experience. It means that on all on-the-go devices can have a smoother view without facing display issues.